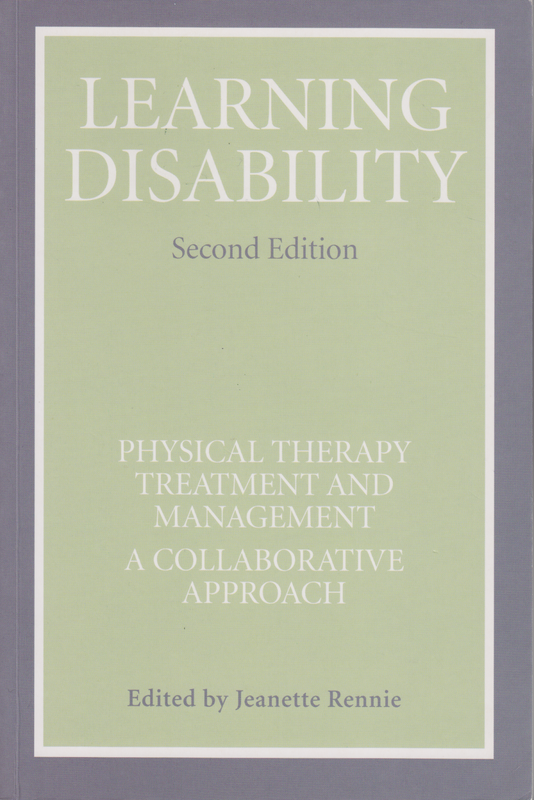 Learning disabilities Physical Therapy Treatment and Management – A collaborative approach, Edited by Jeanette Rennie includes a chapter on Complementary Therapies with a section on YOU and ME Yoga system, with case studies involving a person with Down's syndrome, autism and the case study below of a young woman with cerebral palsy. There has been evidence of progress with other members of staff in other learning areas. She is more active and confident participation in the swimming pool; her upright sitting position in her own chair has improved; she has progressed to independent transfers from her wheelchair onto the toilet and back again although assistance to adjust her clothing is still required. She has an obvious feeling of achievement and improved dignity. I recently attended an information day with Inclusive Technology Ltd. to learn about how computers and software have been developed to support people with special needs in learning, reading and writing. This day showed us how IT is developing beyond what most of us ever thought possible. It also gave me a greater insight to the e-book world for special learners and its potential for my YOU & ME Yoga Publications. To wet your appetite, this video shows what we can expect in the future before tackling what equipment is already available. 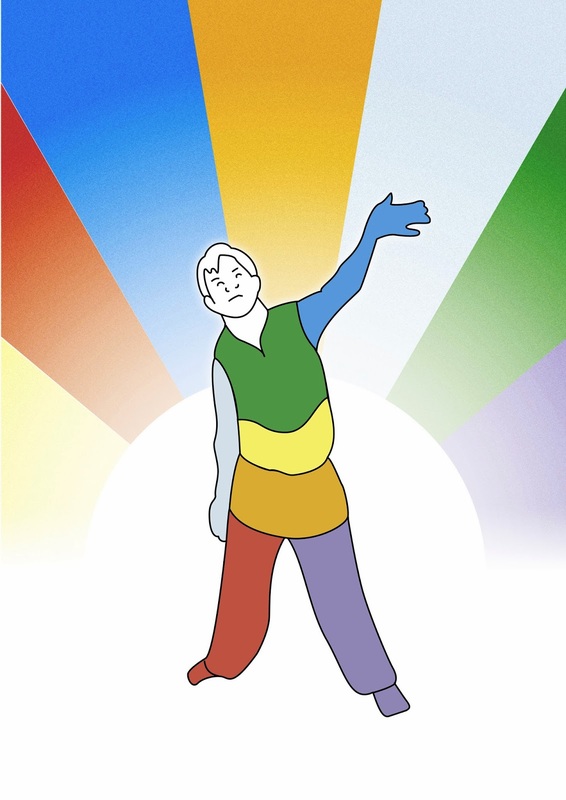 Inclusive Technology is assistive technology with use of equipment, hardware, software, product systems and services. Specifically designed to help maintain and improve the functional capabilities of individuals, and provide easier ways for individuals to communicate, learn, enjoy life and be more independent. As there is so much information I learnt on this day I’m going to cover the hardware first, followed by the software for assisting reading, writing and creating digital media for special learners in my next blog. Apparently a lot of educational establishments are aiming to replace their traditional paper book libraries with e-books and issue students with e.reader devices such as iPads and Kindles. These accessible reader devices can display books in full colour with adjustable fonts, pictures and text size; convert text to speech with adjustable voice settings; magnify and highlight each word as its spoken. Cases and mounts for reader devices are available (and for wheelchair users) with switches, page turners, prevent sleep modes etc. There is adaptive equipment for Keyboards and Mouses too, the ranges of which differ considerably. This is where Inclusive Technology experience can match the technology to facilitate an individual’s needs, abilities and expectations. The traditional Keyboard was designed for those with use of two hands, 10 dextrous fingers and be right handed. The keyboard requires users to position the fingers and hands above the keyboard and be able to press the keys simultaneously, as and when required. These days in most schools children are not taught how to type using the keyboard, instead they are expected to pick up the skills whilst learning different subjects across the curriculum. If it’s anything like some of us had to learn to use the keyboard later on in life - when computers became popular - its certainly not easy without having been taught basic typing skills. In addition, slow learners with a learning difficulty and/or physical disability must be overwhelmed with the ‘querty’ (established in 1868) keyboard and the more recent Mouse (popularized by Apple in 1984) device. The arrangement of the ‘qwerty’ keys on the keyboard was originally designed to prevent old fashion typewriter arm-keys from clashing if used quickly together. Such typewriters are now obsolete, yet the ‘querty‘ system still reigns! Smaller keyboards which are suitable for those with fine motor movement, limited movement or children with small hands. By providing a fixed positioning in a small area. Larger keyboards are more suitable for those with gross motor movement needing a wide spatial area. The upper/lower case letters and high contrast colours make it cognitively easier for them to learn. The same applies with mainstream young childrens’ first keyboards. Overlay keyboards for visual aid with tactile layout of foam, paper, shapes etc. with software that can be interpreted in text, moon letters or braille. Keyboard accessories: sticky keys, filter keys, toggle keys, keyboard guard, angled keyboard rest, keyboard gloves. Note: Our presenter Jamie Munro did recommend AlphaSmart Neo2 as a cheaper alternative to using a computer for learning how to type with its built in KAZ typing tutor for all novices. The Traditional Mouse requires hand dexterity and arm movement. Click-drag requires ability to hold the mouse button down while moving it. Double clicking requires ability to quickly press the button twice. Acknowledgement of moving the mouse on the desk causing something to move on the screen, requires reasonably good cognitive level. The Trackpad is already built into laptops, tablets and reader devices operated by light pressure and minimal movement, but requires considerable precision. The Trackball can be used for large ‘sweeping’ movements which can be useful for people with limited motor control, or for greater accuracy of smaller detail. It is available in various sizes and ball positions (e.g. for use with the thumb) and it stays fixed in place. The Joystick is a fixed and vertical device which can be pushed and pulled that can be easier for some physical disabilities. The Apple Magic Trackpad is a multi-touch gesture control that can be scrolled, swiped, pinched and rotated. It connects to the Mac via Bluetooth wireless technology and used just like the trackpad on the MacBook or Laptop, only with nearly 80 per cent more surface area with a button that clicks for typing and gesturing. Going Wireless with mouse alternatives enables devices to be passed between persons in a group, different rooms and even different computers. This allows for use with interactive whiteboards and Plasma LCD display screens from a distance of 10 metres away. The Head Controlalternatives require no limb movement, are faster than switch access, but are only suitable for those with voluntary head movement. 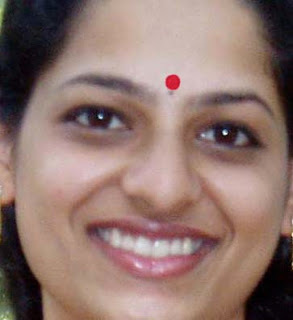 The Silver Reflective Dot Sticker is stuck on the middle of the forehead looking just like the Indian red spot ‘Bindi’ (used to retain energy and strengthen concentration). 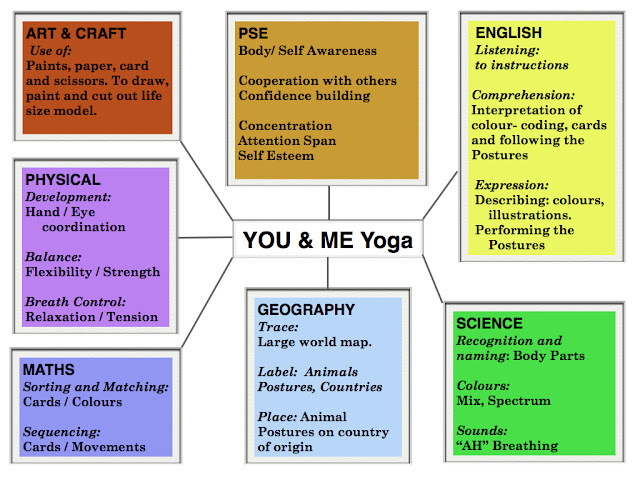 So why include all these technological details into the YOU & ME Yoga Blog. Basically because I was impressed from what I learnt about Inclusive Technology. As I needed to keep up to speed for digitalising my YOU & ME Yoga Publications. 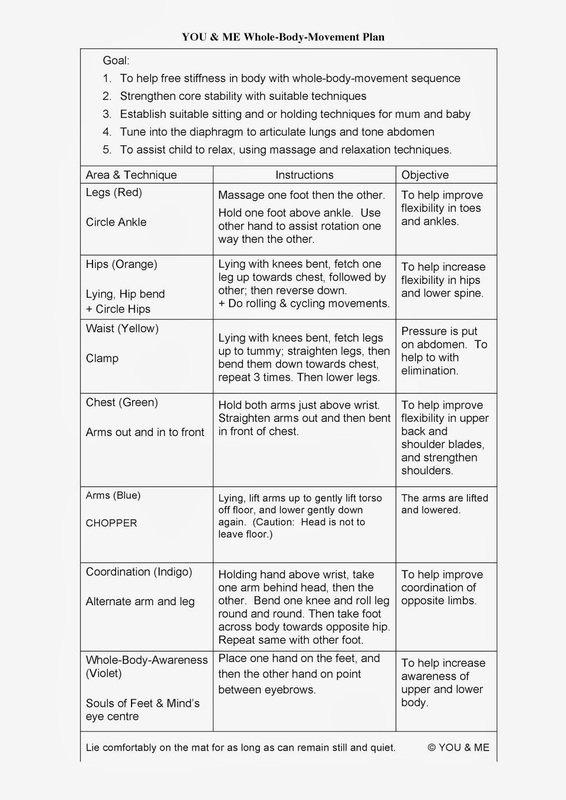 I also wanted to share it with followers in preparation for you and me to progress together in Yoga! (1) To strengthen the lung walls and improve the cardiovascular system. (2) To increase awareness of the breath and gain greater control of oneself, physically, emotionally and mentally. In regards to the breathing in the YOU & ME system, we basically focus on increasing students’ awareness of their natural breath to achieve inner relaxation and peace. Rather than concentrating on deep controlled breathing which can actually create tension in the body that could cause some students to panic and lose their sense of control altogether. Emotions play a great part in the way we breathe. For example, when there is an emergency or cause for alarm, the rate of breathing increases to the point of causing breathless; whereas, when there is peace and tranquillity the rate of breathing decreases until the breath is all part of a pleasant relaxing experience. Therefore if a student is emotionally disturbed, they should not be asked to control their breathing (which would probably be out of control in any case). This would apply to persons suffering from neurosis, anxiety, panic attacks, hyperactivity etc., and also to asthmatics. However, if a person does have any of these conditions, training over a period in being aware of the breath can help to control such attacks. I used to work with a student who suffered from asthma which usually preceded a panic attack. In the early days, during a year of one-hour weekly yoga sessions, he would become panic-stricken as soon as we started thinking about our breathing, and we would have to abandon the practice. At the time I thought this was due to his being a heavy smoker, which would hinder anyone’s practice. However, in time he joined in with the rest of the group (six in number) and started to watch his tummy move while performing diaphragmatic breathing. He went on to observe the in-and-out breath and perform breath-awareness practices himself. Then one day some time later, he came to class seeming stressed out and distant which I later learnt was due to the disappointment of hearing his mother had rang to say she was not able to visit him in his residential home the following weekend. The three trainers present (two others and myself) kept a close watch on him throughout the practical session. When it came to the breathing, he laid down on the floor joining in with the rest of the group but then started to shake as though he was going to have a fit, and his breathing became rapid and irregular. I knelt beside him and told him I was going to help him to calm down. I placed my hand on his tummy and asked him to allow the natural breath to resume its normal rhythm. Together we held in mind the functioning of his breathing, without attempting to control its pace, just allowing it to flow freely. After about five minutes he had calmed down and was back to his normal rate of breathing. 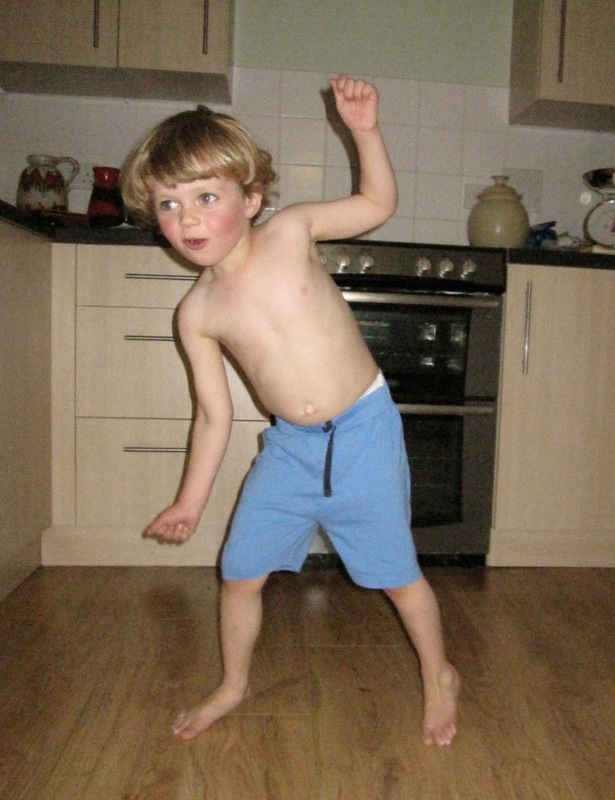 This development was only possible because he had over a period of time become aware of his breathing, was able to put his trust in it and believe it would relax into normality - as in fact it did. Later on in the session we spoke about his mother’s next visit the following weekend and he surprised me by saying how he would like to tell her how he managed to feel better through his yoga breathing! 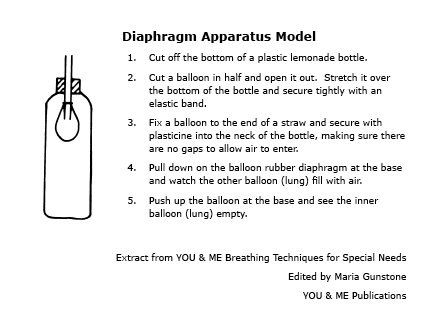 Extract from YOU & ME Breathing Techniques for Special Needs, along with sample pages of some of the 100+ illustrated techniques. This book is available from Amazon here. 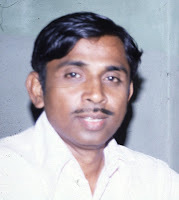 Iarranged to visit the established yoga educational and health research institutions in India dealing with a variety of problems experienced by the disabled, and I also visited various special education institutes for disabled people. In addition I was privileged to meet some of the greatest yoga masters and teachers, special educationalists, medical professionals and some remarkable disabled people in ashrams, special schools, homes, hospitals and yoga research institutions. 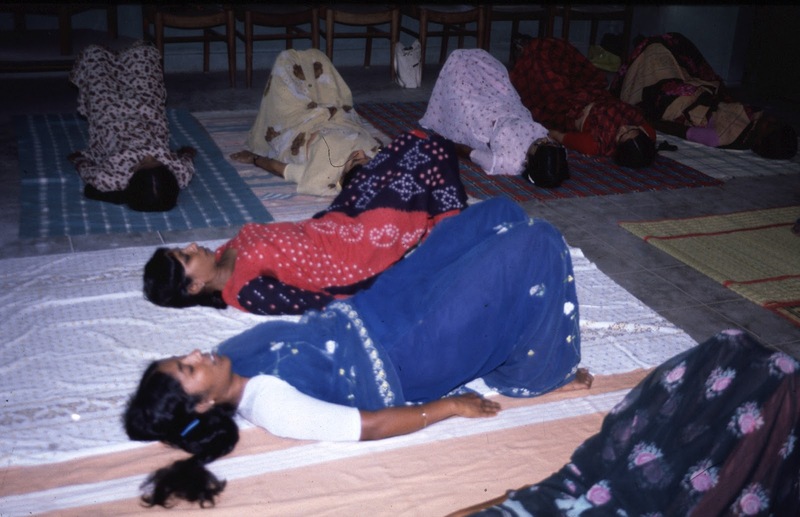 My first article 'Research in India' covers the initial yoga programmes for teaching children with severe learning difficulties which can be found here.